Primary Connections kits on the move! 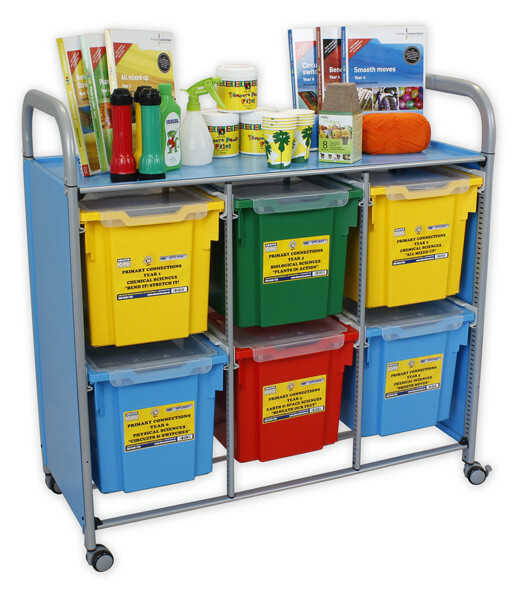 Easily store and move your Primary Connections kits around in our science trolley. Includes 6 pairs of runners to fit 6 Primary Connections kits of your choice. Castors can be removed to create a fixed frame. Primary Connections kits not included.